The Couronian colonisation of the Americas was performed by the Duchy of Courland, which was the second smallest state to colonise the Americas (after the Knights of Malta), with a colony on the island of Tobago from 1654 to 1659, and intermittently from 1660 to 1689. Courland had a population of only 200,000, mostly of Latvian and Baltic German ancestry, and was itself a vassal of the Polish-Lithuanian Commonwealth at that time. Under Duke Jacob Kettler (ruled 1642-1682), a Baltic German, it established one of the largest merchant fleets in Europe, with its main harbours in Windau (today's Ventspils), and Libau (today's Liepāja). During his travels to Western Europe, Duke Jacob became an eager proponent of mercantilism. Metalworking and shipbuilding became much more developed. Trading relations were established not only with nearby countries, but also with England, France, the Netherlands, Portugal and others. The Duchy's ships started undertaking trade voyages to the West Indies at least as early as 1637, when a Couronian ship attempted to found a colony on Tobago with 212 settlers. An earlier European settlement on the island, a Dutch colony named New Walcheren, formed in 1628, had been wiped out a few months earlier by Spain. The first Couronian colony met a similar end, whilst a second attempt was essentially blockaded by Spain and strangled in infancy by 1639. In 1642 two ships under Captain Caroon with about 300 settlers attempted to settle on the north coast near Courland Bay. This colony was again blockaded, but proved more successful. Jesuit missionaries among the Carib quickly agitated and armed the tribes to attack the settlement, which was subsequently evacuated to Tortuga and later Jamaica. Under agreement with other Protestant powers who saw their various individual efforts insufficient to trade and/or colonise the Americas, Africa, and the Indies simultaneously, Courland's attention shifted to Africa. In 1651 the Duchy gained its first successful colony in Africa, on St. Andrews Island in the Gambia River and it established Fort Jacob there. Soon afterwards the Protestant powers felt sufficiently organised and prepared to launch several colonial expeditions against Spanish interests in the Caribbean. The alliance between England and the Netherlands against Spain began to break apart under England's new trading program. The Dutch were primary competitors to Courland, which decided to support the English in the brewing conflict. Therefore, Courland received permission from its Protestant English allies to make still another attempt at a colony on Tobago. On 20 May 1654, the ship Das Wappen der Herzogin von Kurland ("The Arms of the Duchess of Courland") arrived carrying 45 cannon, 25 officers, 124 Couronian soldiers and 80 families of colonists to occupy Tobago. Captain Willem Mollens declared the island "New Courland" (Neu-Kurland). A fort was erected on the southwest of the island, also called Fort Jacobus (Fort James) with the surrounding town called Jacobsstadt (Jamestown). 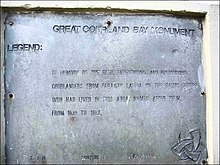 Other features were given Couronian names such as Great Courland Bay, Jacobs (James) Bay, Courland Estate, Neu-Mitau, Libau Bay and Little Courland Bay. In their first year on the island the Couronians built an Evangelical Lutheran church. The colony was successful, but the Netherlands was not willing to accede to losing the West Indies and replied by establishing its own colony nearby a few months later. Thus, the small Couronian colony soon became overshadowed by a second Dutch colony. While 120 Couronian colonists had come in 1657, the Dutch colony reached a population of 1,200 by the next year, when 500 French Protestant refugees fleeing Catholic persecution joined them. Goods exported to Europe included sugar, tobacco, coffee, cotton, ginger, indigo, rum, cocoa, tortoise shells, tropical birds and their feathers. The Duchy of Courland became a focus of strategic interest for both Sweden and Poland-Lithuania. In 1655 the Swedish army entered the territory of the Duchy and the Northern Wars (1655–1660) began. The Swedish army held Duke Jacob captive from 1658 to 1660. During this period both colonies continued to thrive until they were taken by the more numerous Dutch settlers, who surrounded Fort James and forced Hubert de Beveren, Governor of the Couronians, to surrender. The merchant fleet and factories were destroyed. Courland officially yielded New Courland on 11 December 1659. However, this war ended with the Treaty of Oliwa (signed near Gdańsk) of 1660, on the basis of which Tobago was returned to Courland. Although peace had been established between the Couronians and the Dutch, there still remained Spain. Following several attacks by buccaneers seeking new harbours, and an expeditionary fleet of Spanish vessels, the Couronians left Tobago in 1666. In 1668 a Couronian ship attempted to reoccupy Fort Jacobus and was driven off by the Dutch. Tobago was regained again just for a short period at the end of Duke Jacob's rule with an attempt in July 1680 at a new colony which also later failed. He began to restore the fleet and factories, and the Duchy never again reached its previous level of prosperity. The island was abandoned except for visiting buccaneers from March 1683 to June 1686, before again being occupied by a collection of scattered Couronians from throughout the Dutch, French, and English West Indies, as well as by fresh settlers from the home country. In May 1690, shortly after the island was sold by Courland the previous year, the Couronian government permanently left Tobago, and those who remained essentially joined the buccaneers or other Anglo-Dutch colonies. Absentee governors would continue to be appointed until 1795, thereby facilitating the continued use of covert privateering Letters of Marque and Reprisal in the region. The Courland Monument near Courland Bay commemorates the Duchy's settlements. A final Couronian attempt to establish a Caribbean colony involved a settlement[when?] near modern Toco on Trinidad. Carmichael,Gertrude "The history of the West Indian Island of Trinidad and Tobago, 1498-1900", 463 pp. 8 plts. 1961, London, UK. Edmundson "The Dutch in Western Guiana" English historical review: 1901 Vol. XVI 640 - 675 pp. -- About he first period of Dutch settlements in Guiana and Tobago, including some information about Courland colonizing Tobago. Edgar Anderson: The Couronians and the West Indies, Chicago 1965. Karin Jekabson-Lemanis: Balts in the Caribbean, The Duchy of Courland's attempts to colonize Tobago Island, 1638 to 1654, in: Caribbean Quarterly, Vol. 46, No. 2, 2000, pp. 25–44. Harry C. Merritt: The colony of the colonized: the Duchy of Courland’s Tobago colony and contemporary Latvian national identity, in: Nationalities Papers; Vol. 38, No. 4, 2010, pp. 491–508. Imbi Sooman, Jesma McFarlane, Valdis Teraudkalns, Stefan Donecker: From the port of Ventspils to Great Courland Bay: The Couronian colony on Tobago in past and present, in: Journal of Baltic Studies, Vol. 44, No. 4, December 2013, pp. 503–526. This page was last edited on 21 April 2019, at 18:13 (UTC).